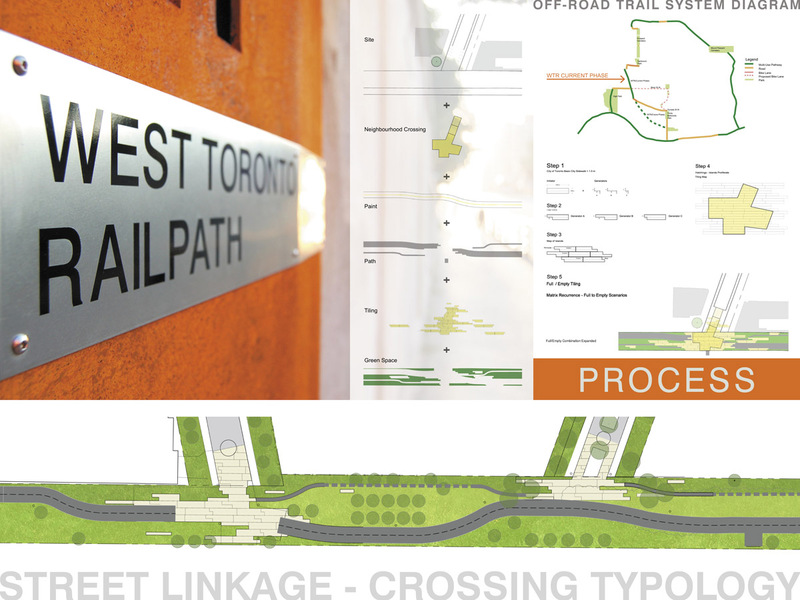 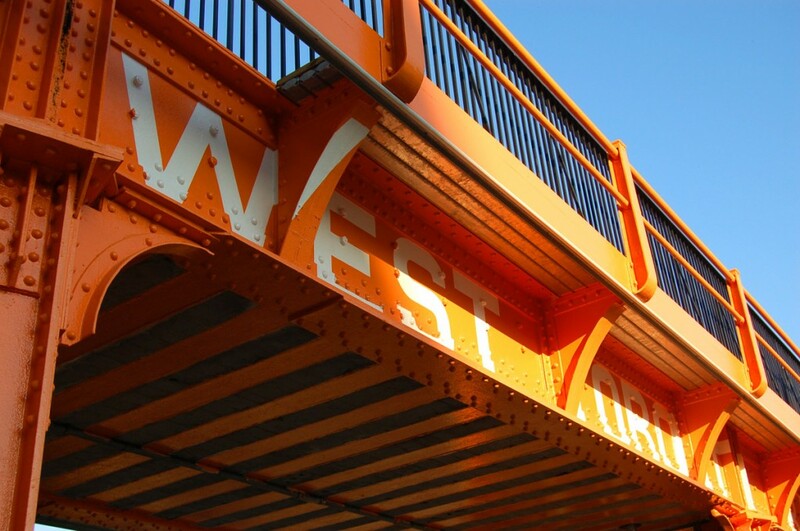 The West Toronto Railpath has transformed two kilometres of railway spur line that served Toronto’s west end industries during the 19th and 20th centuries, with a new linear open space supporting a cycling and pedestrian multi-trail. 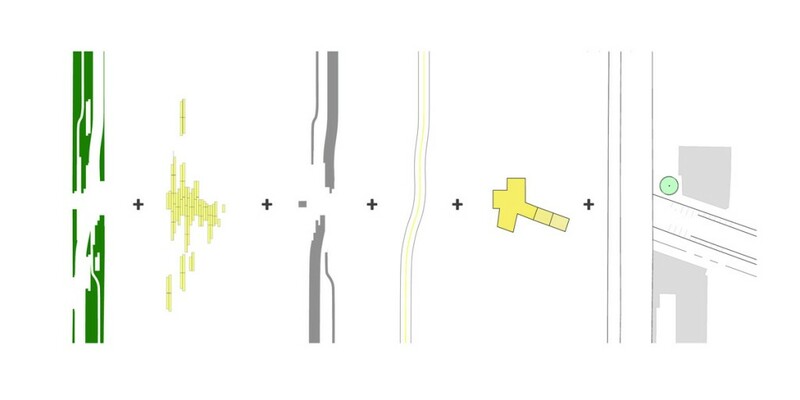 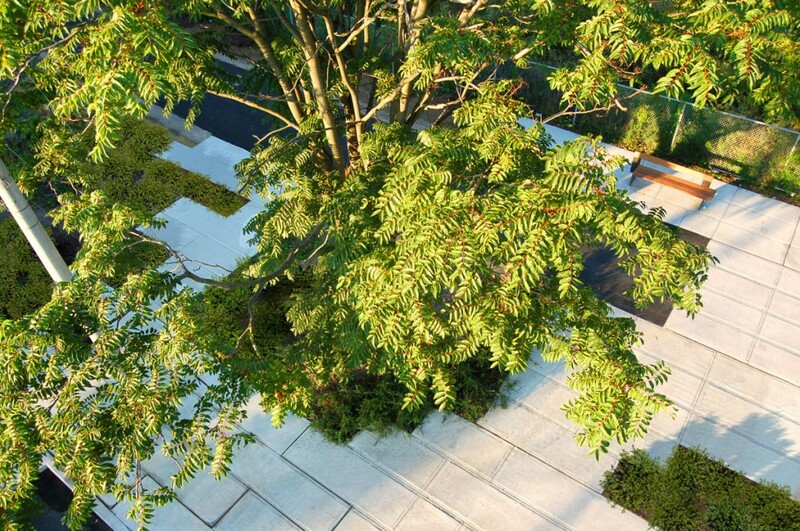 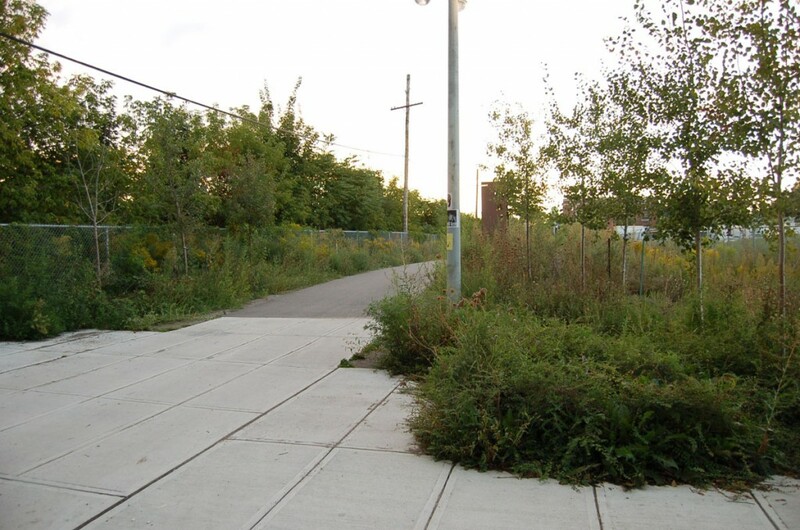 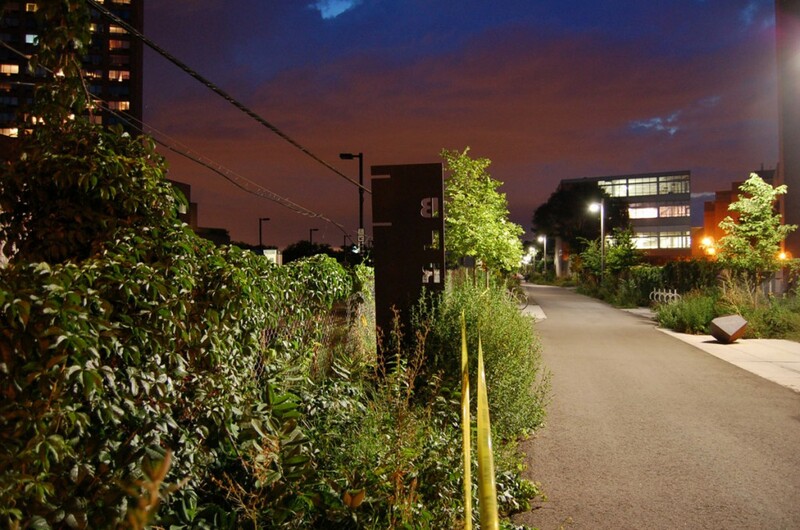 The path is punctuated with special connections that open up neighbourhood dead end streets and future residential redevelopment, and supports a new series of artwork, vertical connections to major city avenues, and new vegetation that enhances the wildness of the industrial landscape. 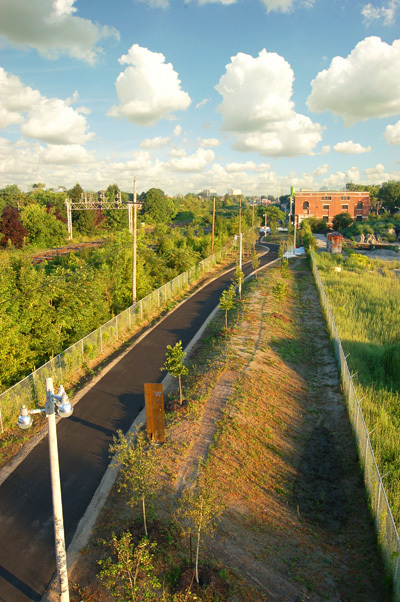 The first phase of what is intended to be a longer multi-trail, the Railpath is set on an abandoned rail bed running parallel to a still active commuter train route. 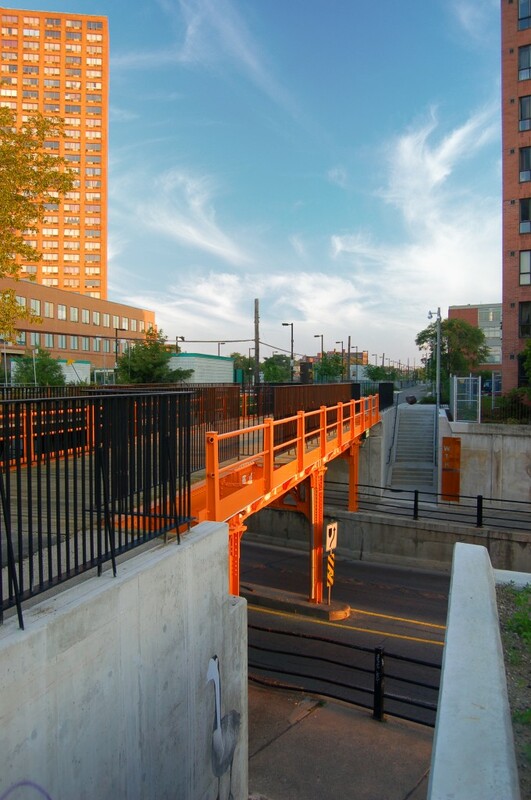 The path travels down Toronto’s west end, beginning just north of Dupont Street, crossing Bloor Street and its GO Station, and presently terminating at Dundas Street West. 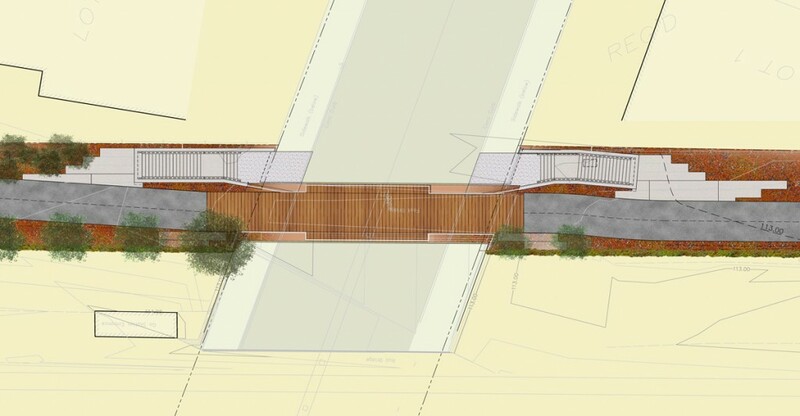 Later phases will continue the route curving south to connect to the Martin Goodman Trail along the Toronto waterfront. 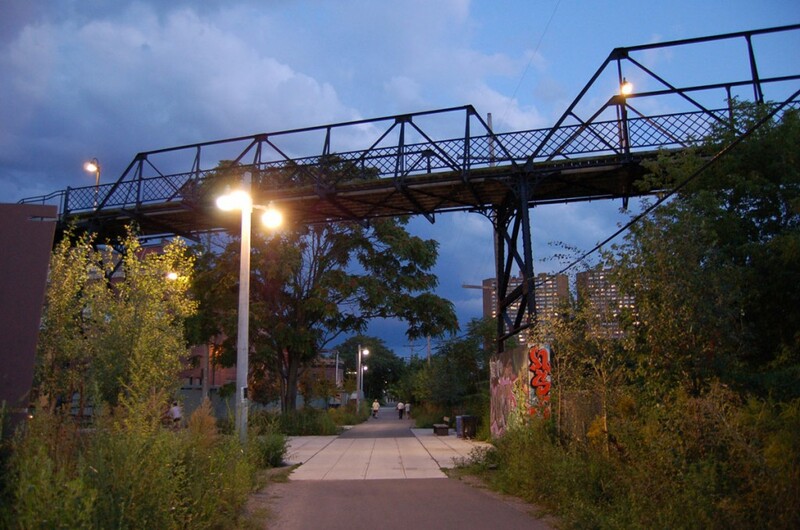 The Railpath runs through a part of the city that was once only inhabited by industrial buildings, chain link, and trains, and reveals to the cyclists, joggers, in-line skaters and pedestrians a newly discovered landscape, open to wide vistas of space and a special combination of indigenous vegetation. 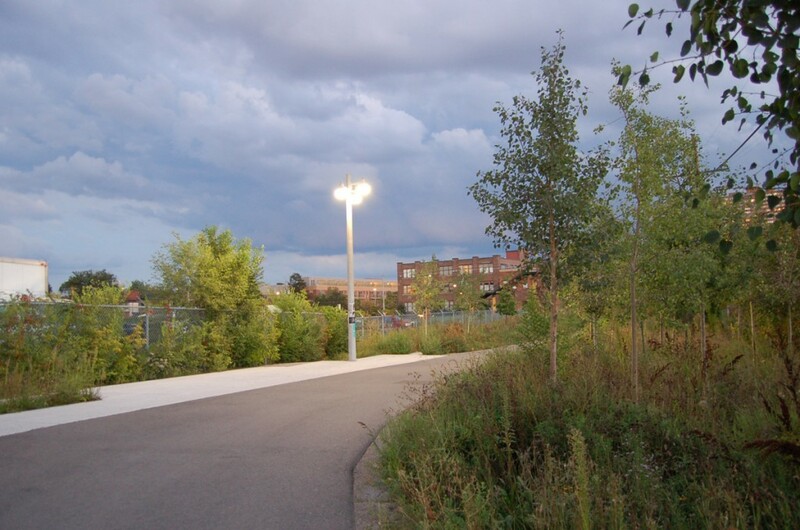 Since its opening in 2009, this park and trail has catalyzed redevelopment opportunities on brownfield sites along the corridor, promoting new residential developments that enliven neighbourhood economy and culture in the adjacent Junction Triangle. 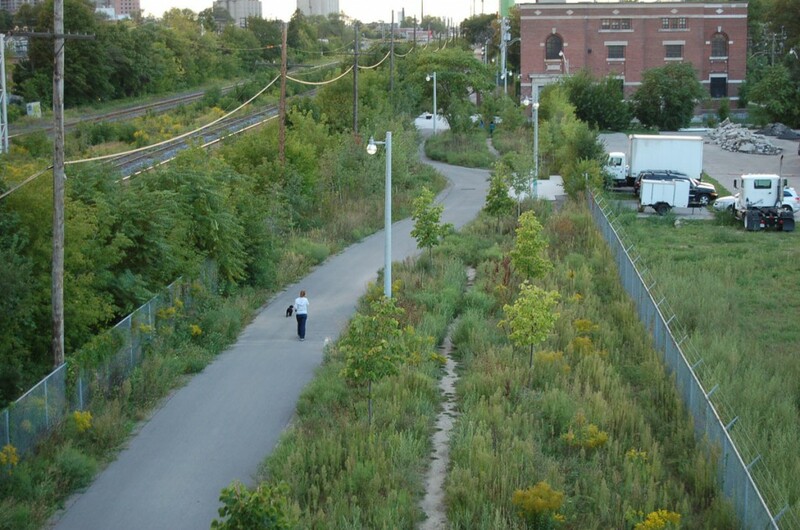 The Railpath has pulled together a convergence of uses, expectations and dreams about the city, coupled them to a historic infrastructure, and spurred both redevelopment and a more productive landscape ecology. 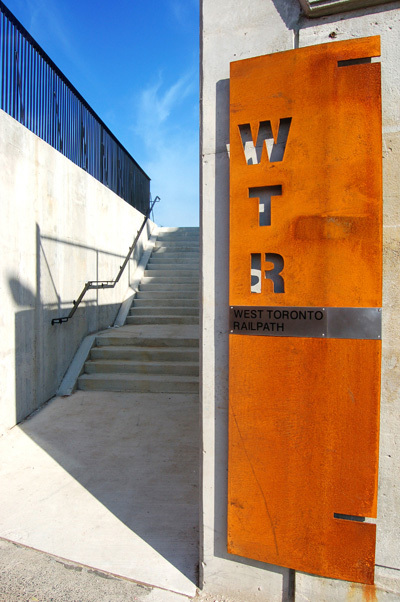 The West Toronto Railpath is a multi-use trail constructed on a section of abandoned narrow-gauge railway line purchased by the City of Toronto in 2003.